Rhythm is life and life is rhythm. Rhythms surround us and are within us. We live with daily routines, monthly rhythms, seasonal changes and 7 year cycles. What resonates well with us at one stage in life, may not necessarily suit at another. 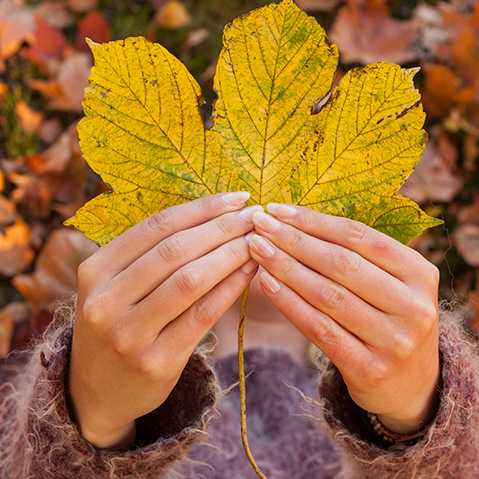 Seasonality in particular, has a major influence on our skin. Skin needs can differ greatly as it reacts to exposure of the summer and winter elements. Climate changes often have a negative or challenging impact on our skin, as the colder winter weather (and toasty central heating) can lead to dryness, cracking and peeling. Generally post-winter skin can look rather lacklustre and lose its natural radiance. At that moment, your skin requires special attention to endure the exposure of harsh winds and extremes of temperature. Not to mention that coughs and colds can add more stress, with lots of nose-blowing and soreness. Importantly dry skin is often more sensitive. So throughout winter and the colder months, show your skin more TLC and protection, provide comfort and care to areas of redness, chapping and irritation. Turn up the nourishment with Weleda’s ‘miracle worker,’ Skin Food, which smooths dry rough skin, wrapping it in a comfort blanket of natural goodness. Squeeze out a small amount and rub well between your hands, to melt and warm the balm, before patting or gently rolling onto your skin. The 100% natural ingredients absorb quickly, reveal inner radiance and vitality and smells divine. Adjusting your skincare to fit the rhythm of the seasons is logical. Nourishing, rich creams, oils and balms are perfect for winter, whereas, lighter hydration is ideal for summer. We should be mindful that we can inadvertently alter the natural balance of our skin through something as simple as cleansing. Thankfully, Weleda Gentle Cleansing Milk cleans without stripping the natural protective sebum layer from your skin. This thin sebum layer offers natural damage prevention from the elements. Weleda Almond Soothing Facial Oil can boost the power of your usual daily moisturiser, simply add a few drops on each application and you will quickly feel the difference. This light oil with enlivening blackthorn extract and strengthening plum seed oil is extremely versatile as it can also be used as an eye make-up remover and as a nourishing oil cleanse. Oil cleanse with Weleda Almond Soothing Facial Oil to discover silky, smooth skin and release your inner radiance. The simple and effective blend of cold pressed Sweet Almond Oil, Plum Seed Oil and Blackthorn Flower Extract, gently dissolves away oily product residue without stripping the body’s own protective layer. Just feel the texture of your skin now……!